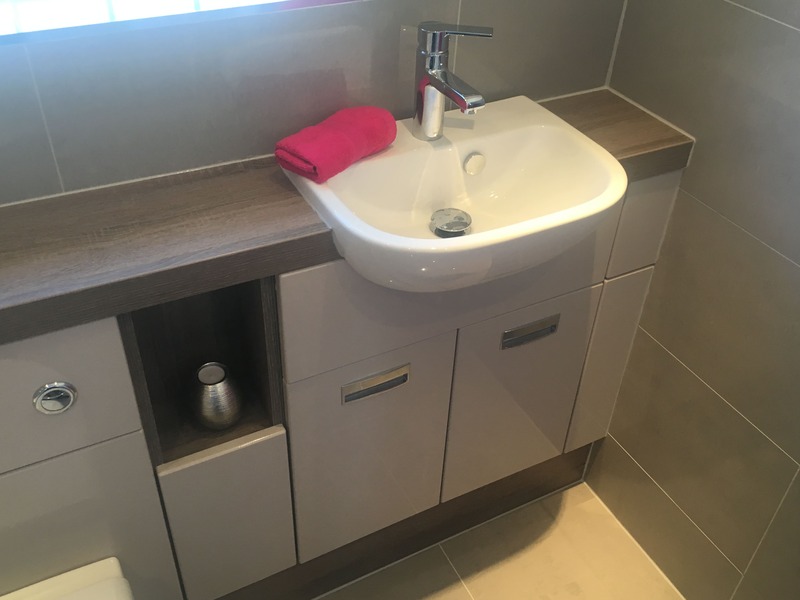 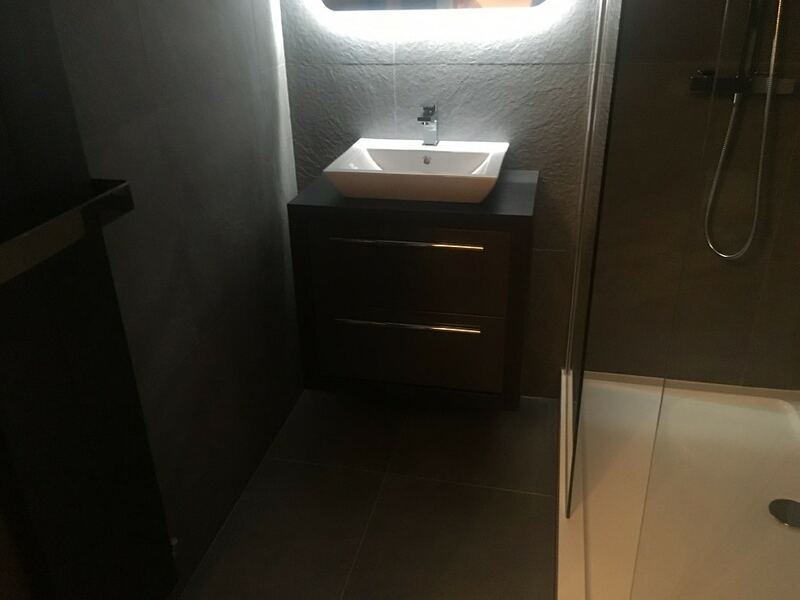 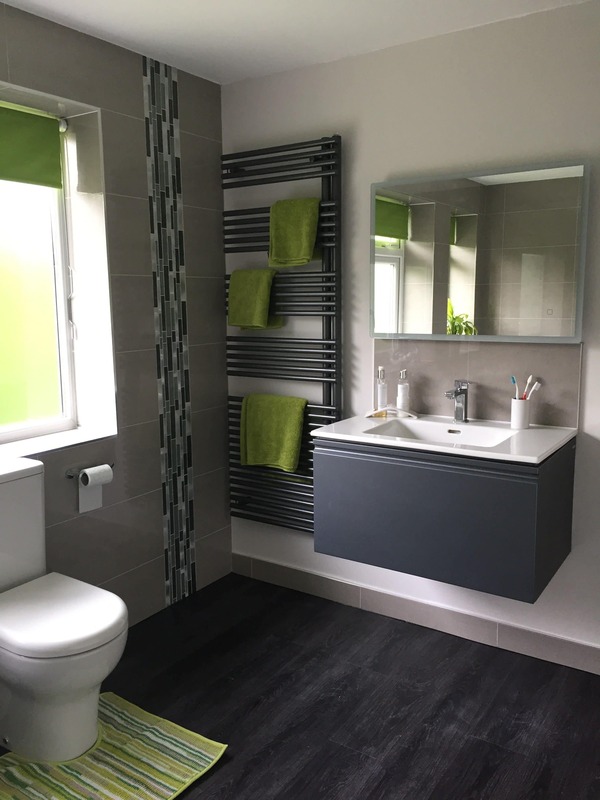 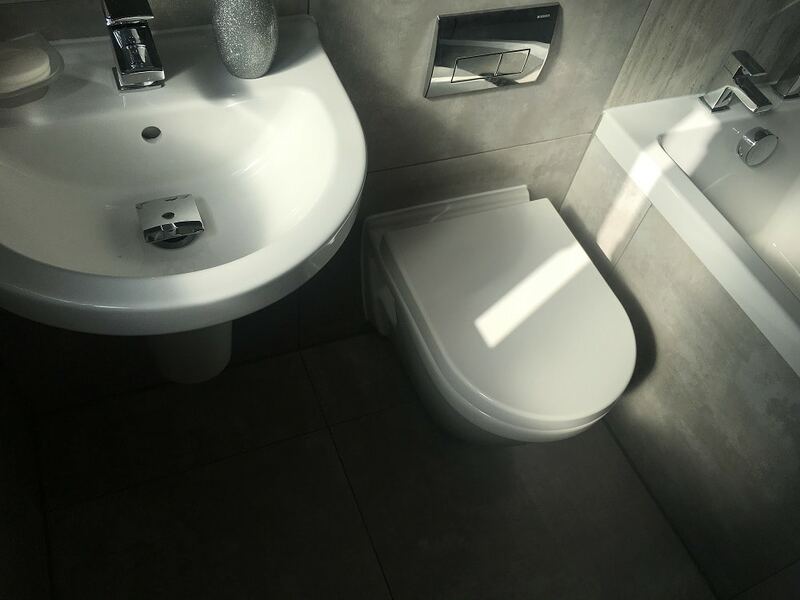 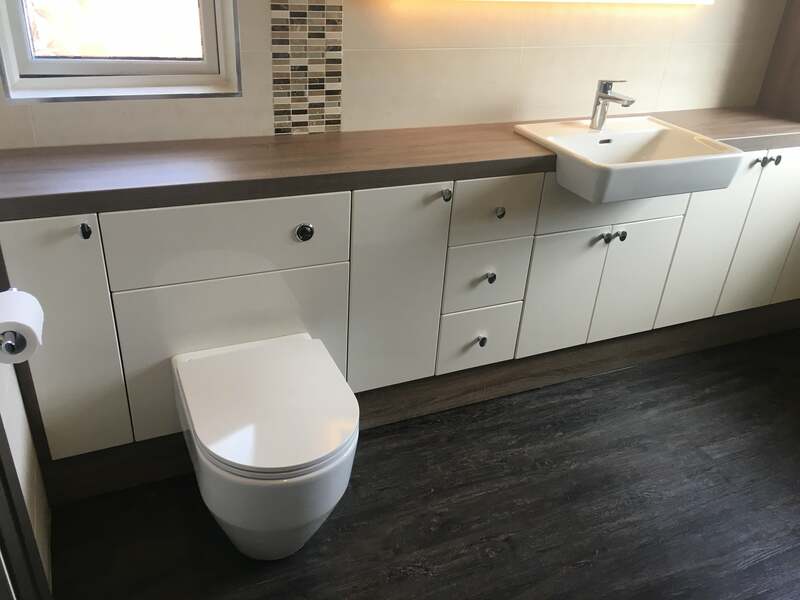 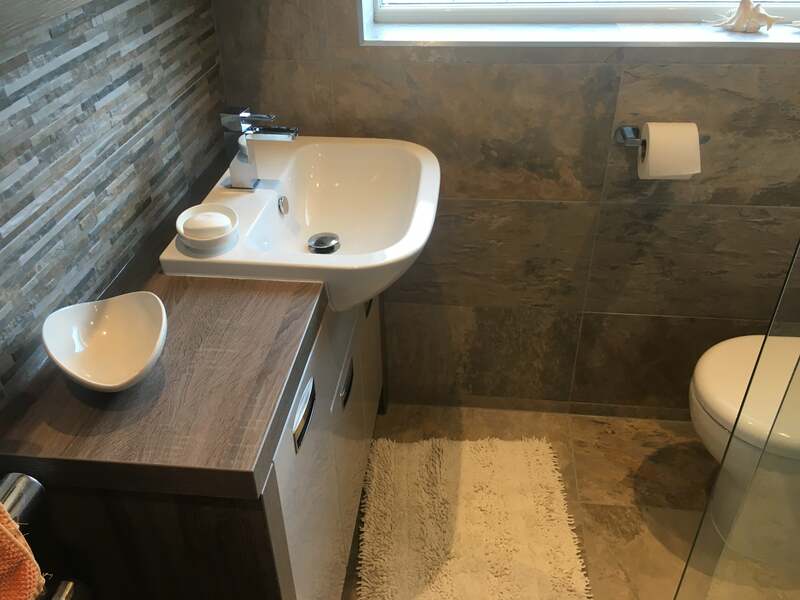 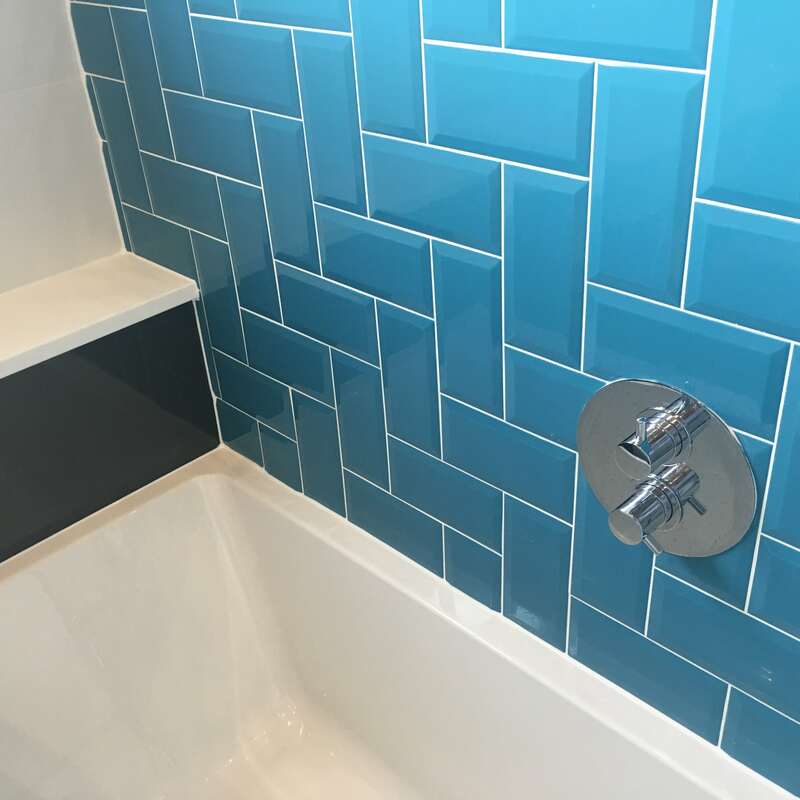 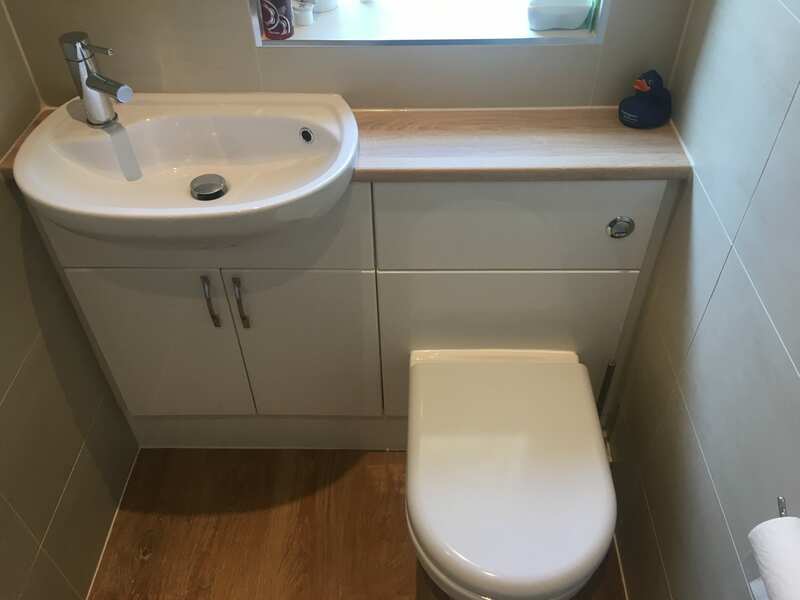 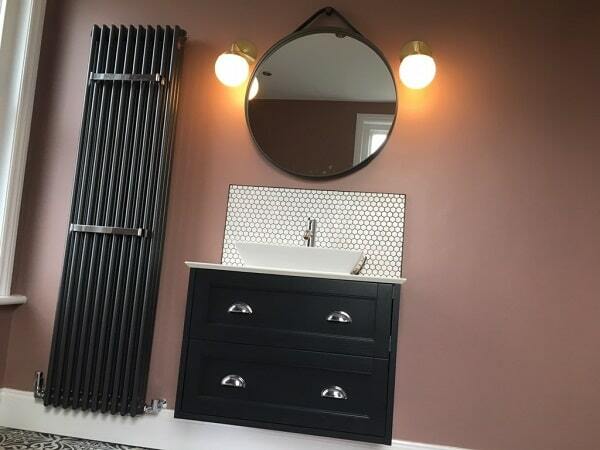 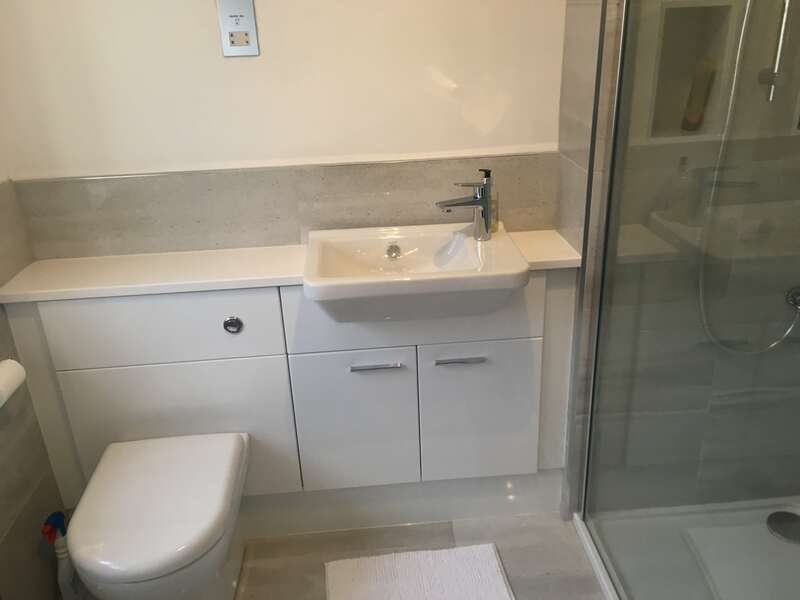 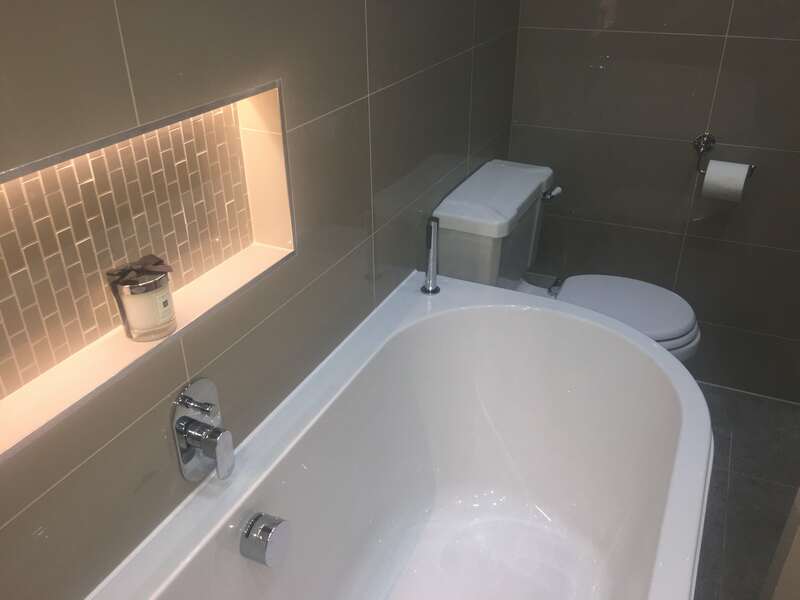 Bathroom installation projects carried out across Leeds. 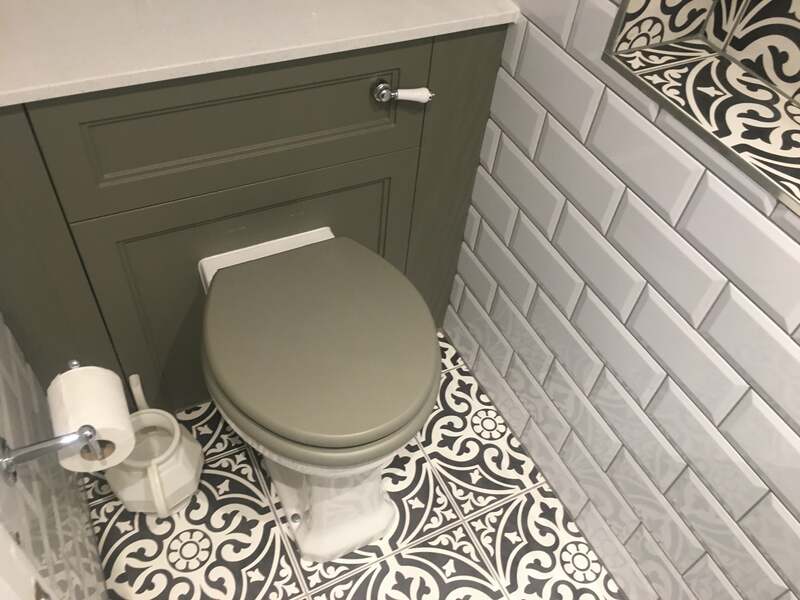 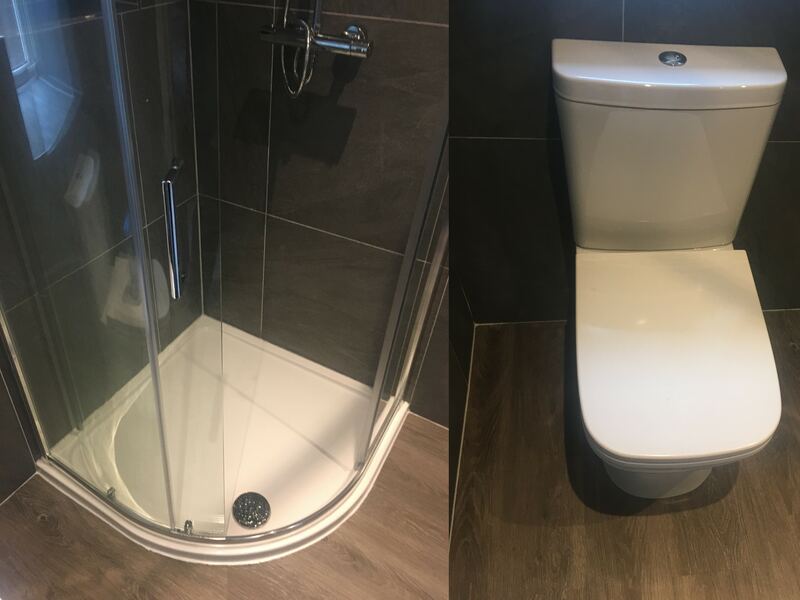 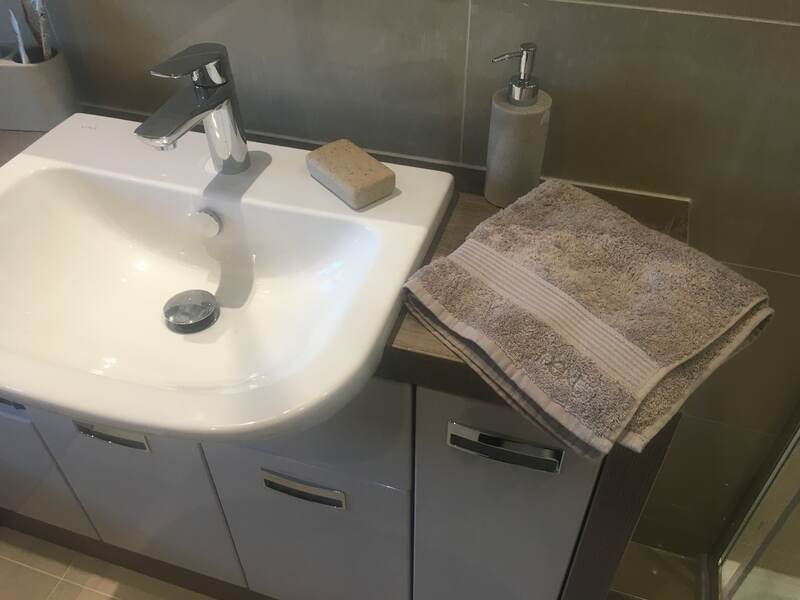 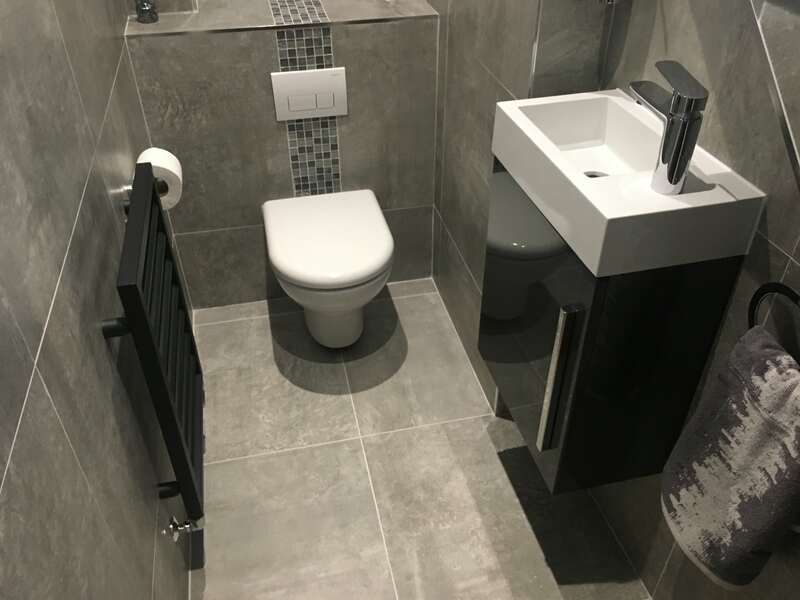 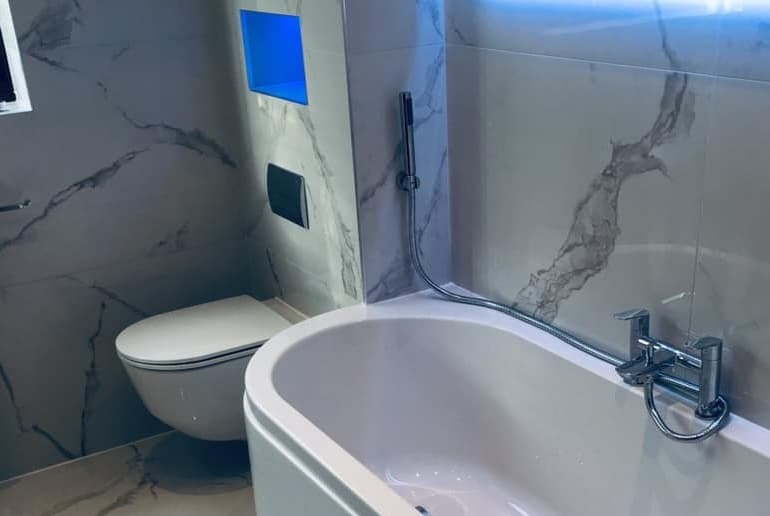 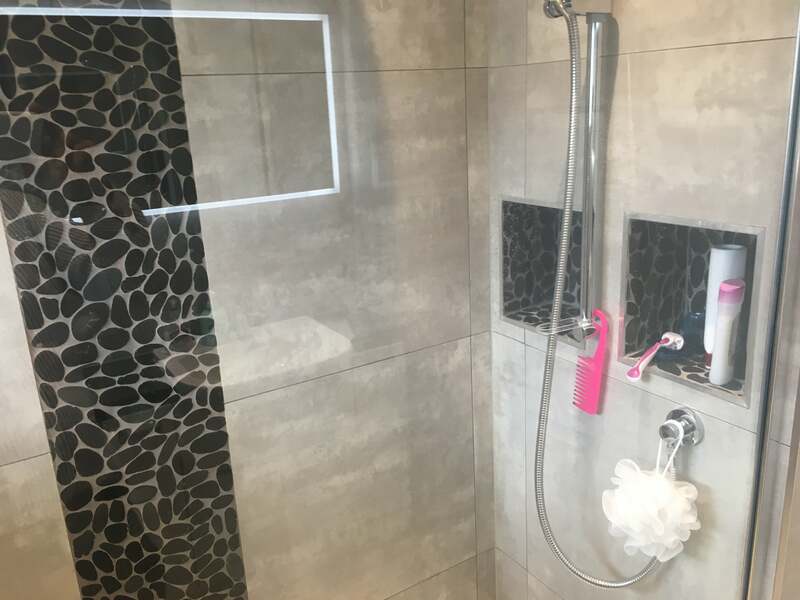 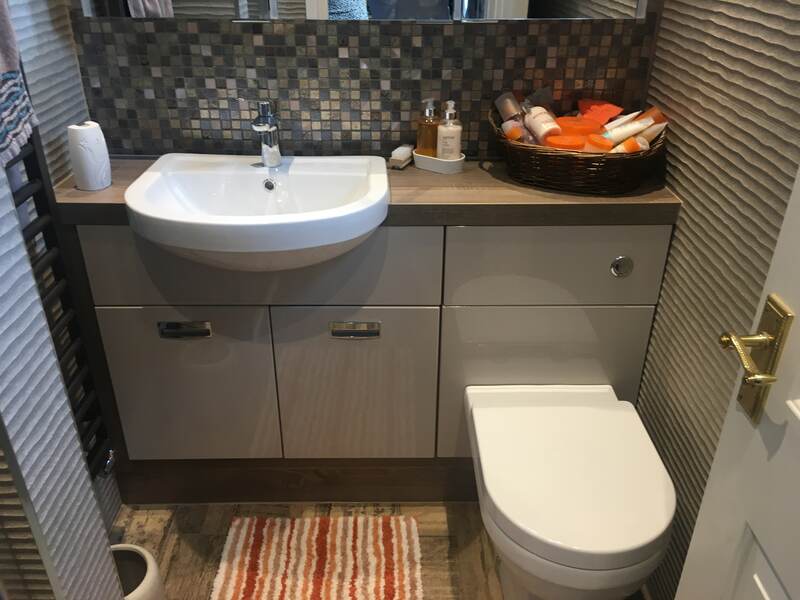 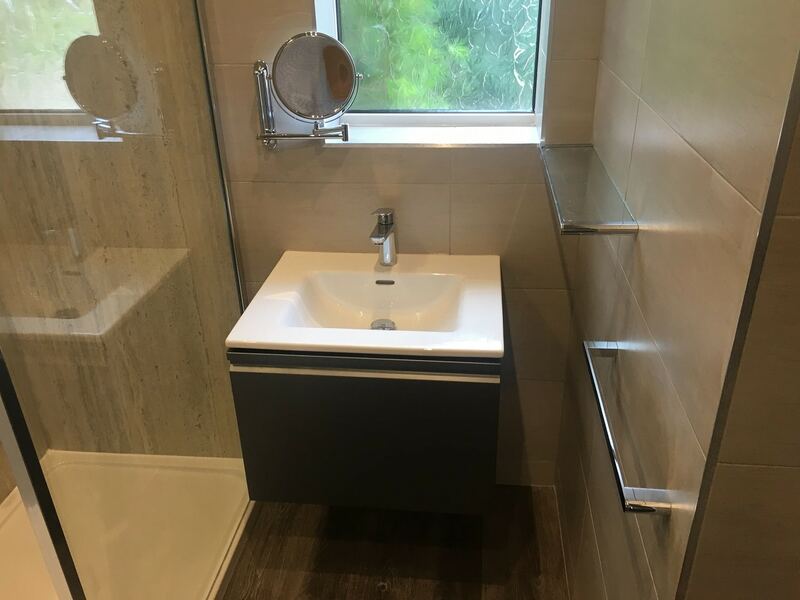 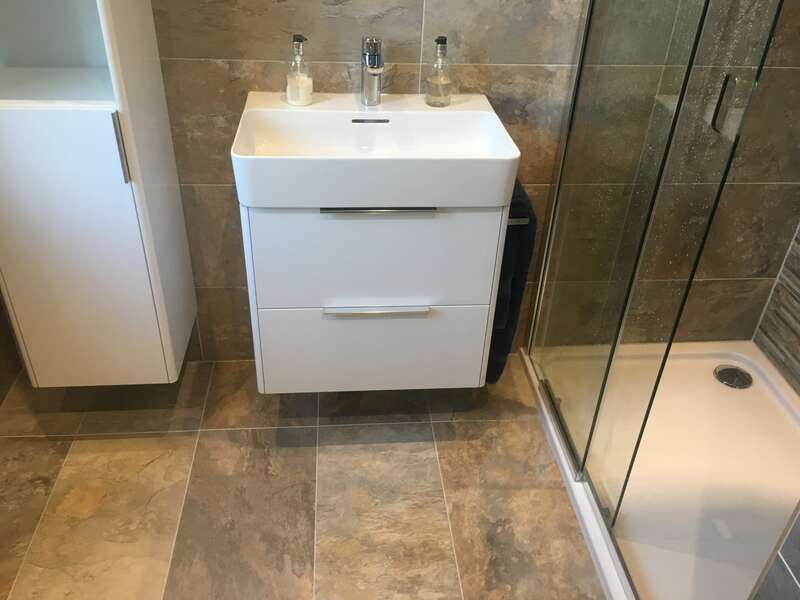 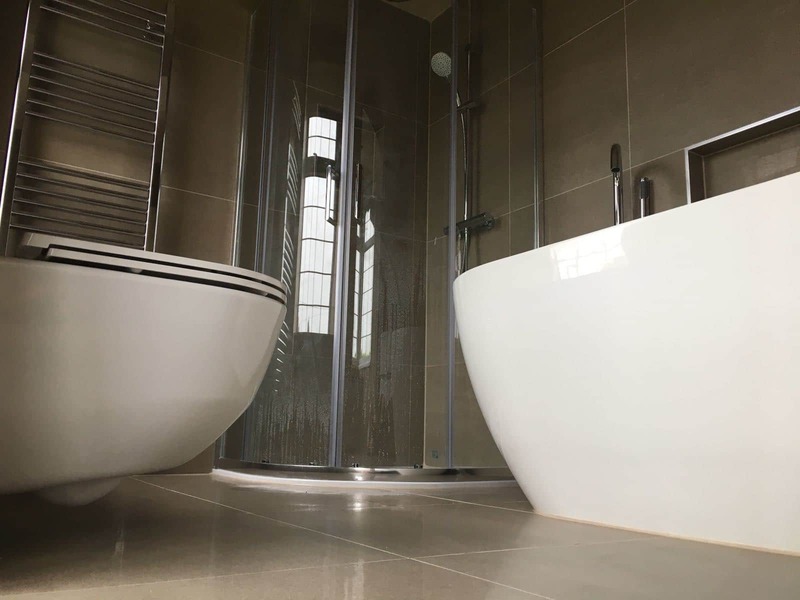 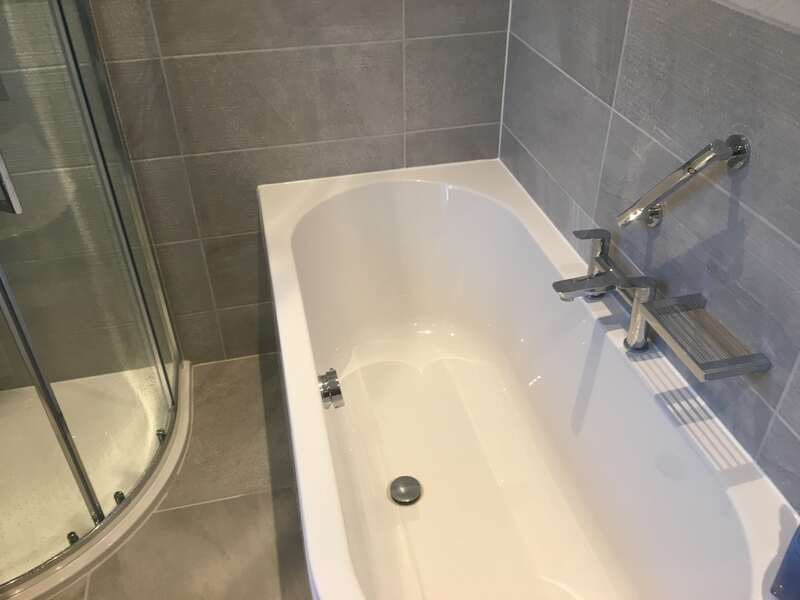 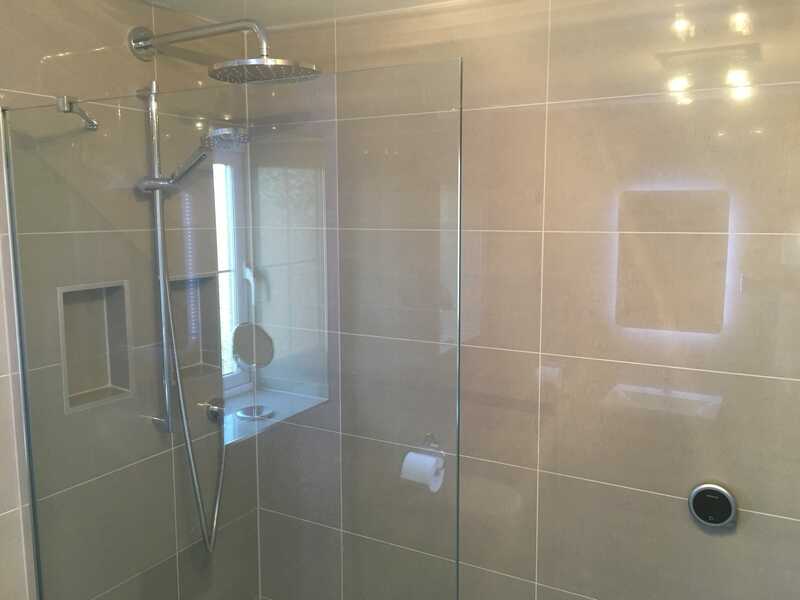 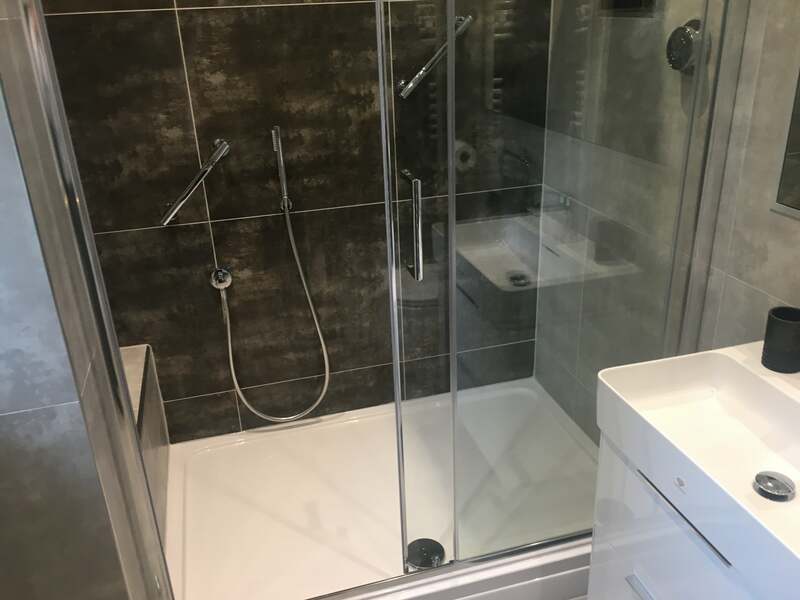 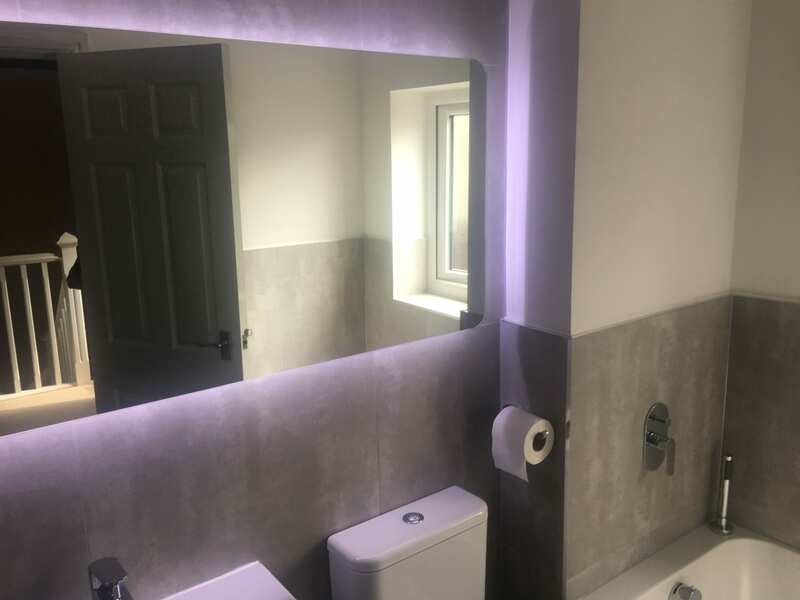 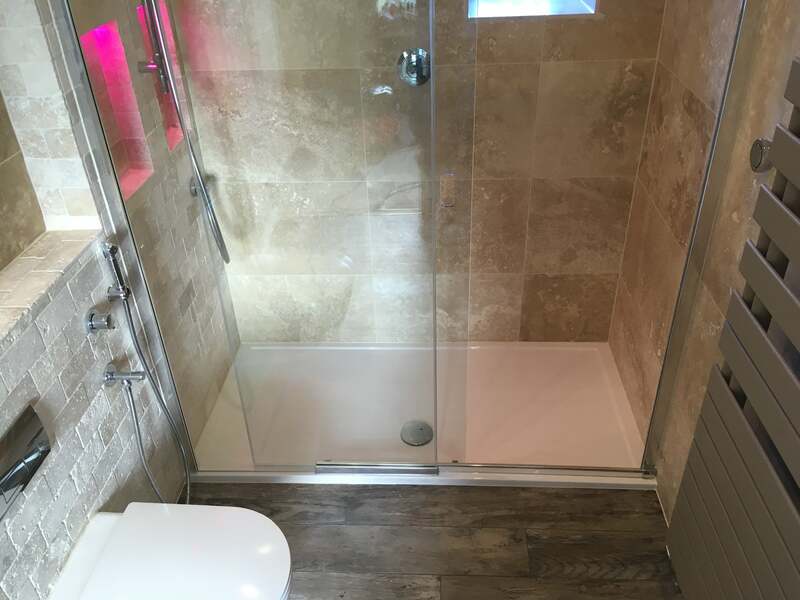 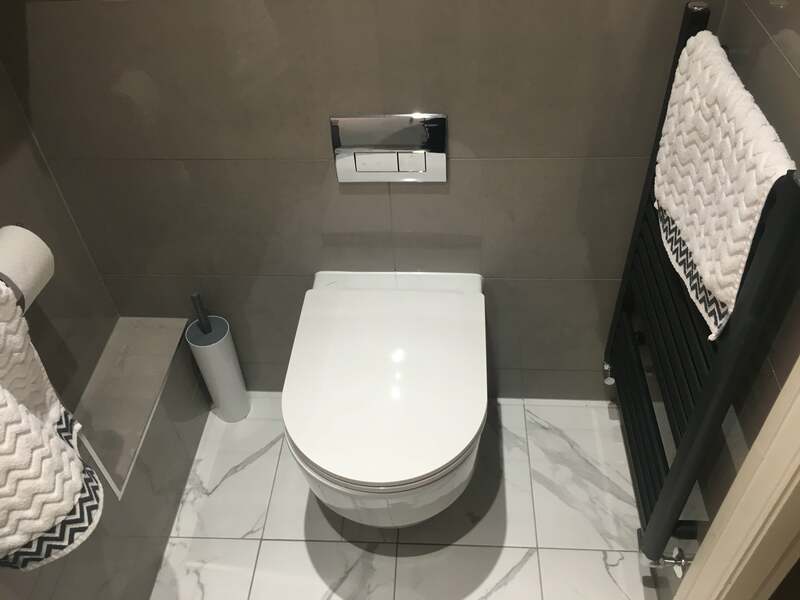 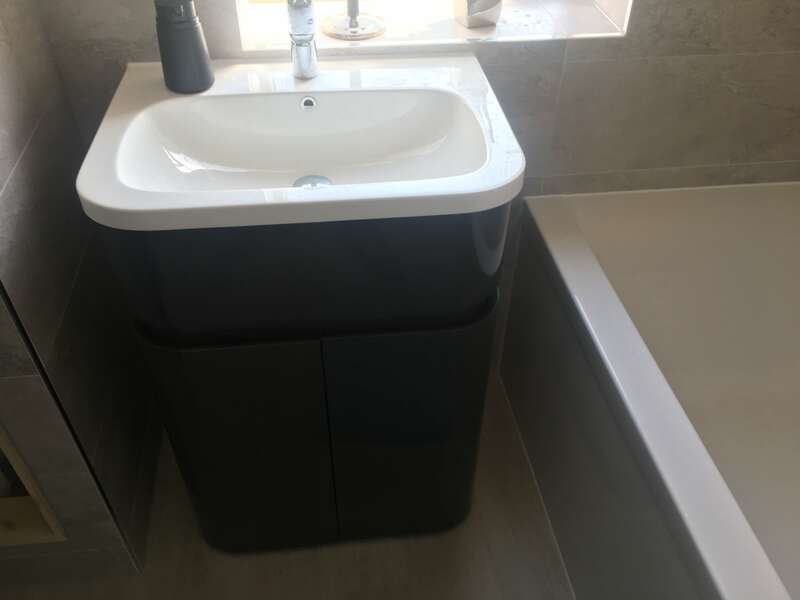 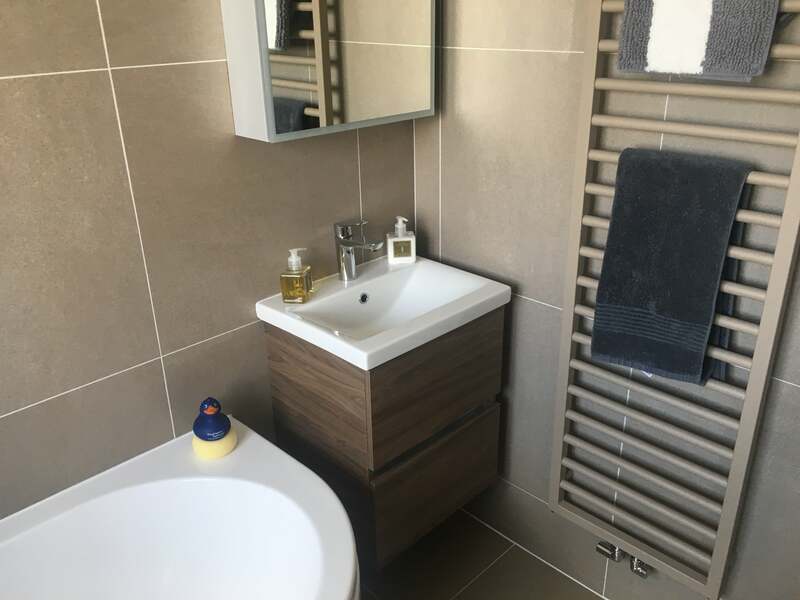 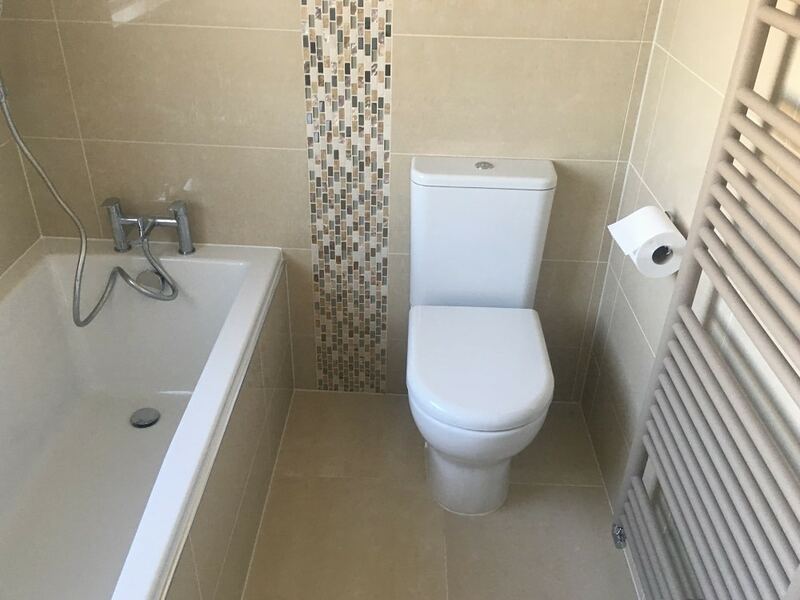 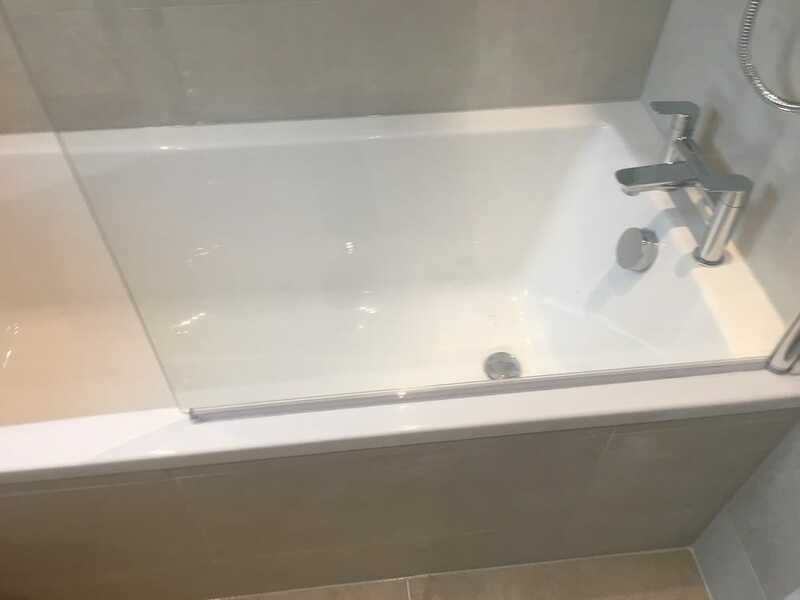 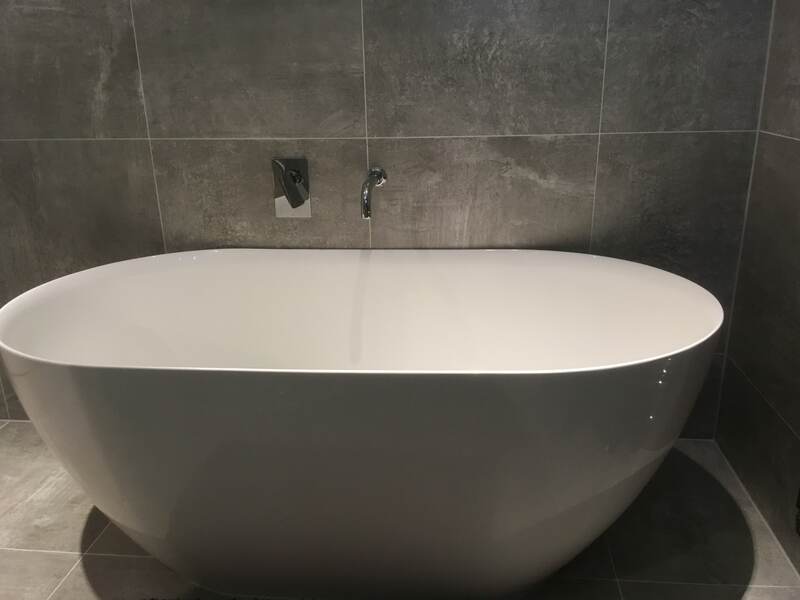 Get some inspiration from our case studies of completed bathrooms carried out for clients across the Leeds area. 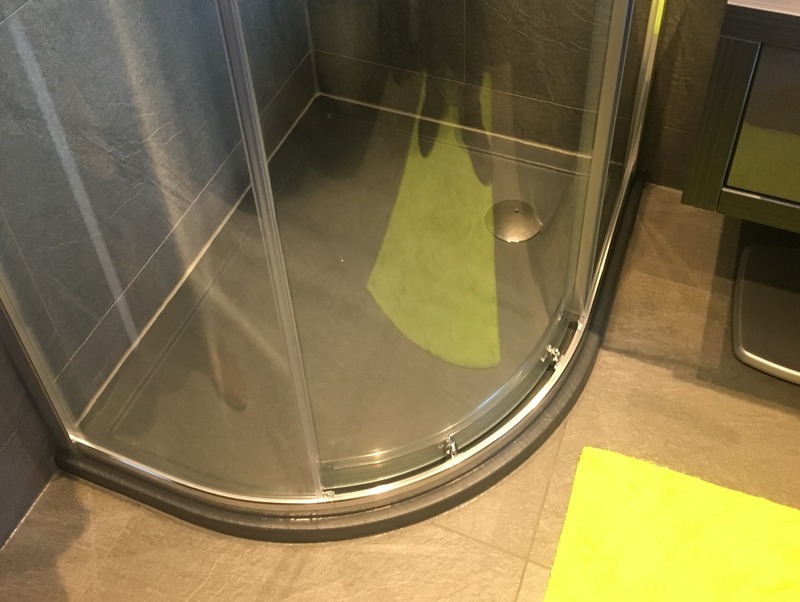 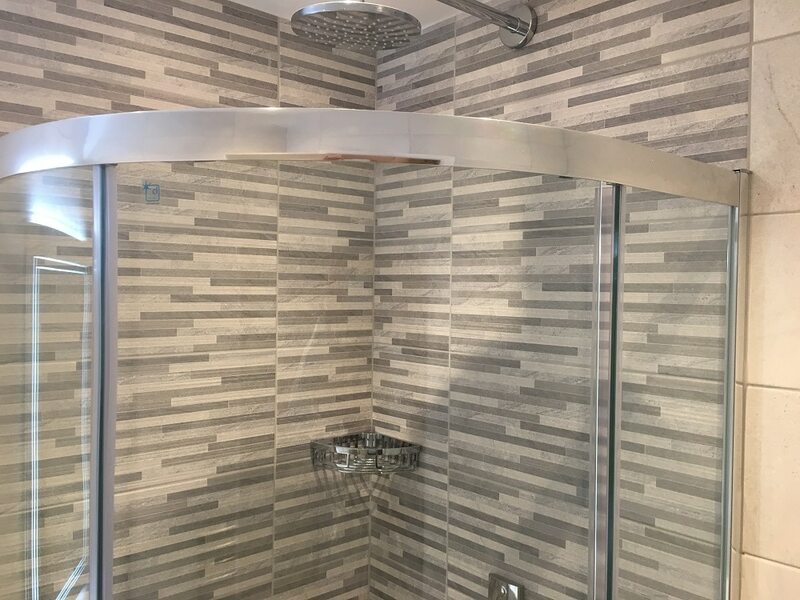 Walk in shower with Nuance shower boards. 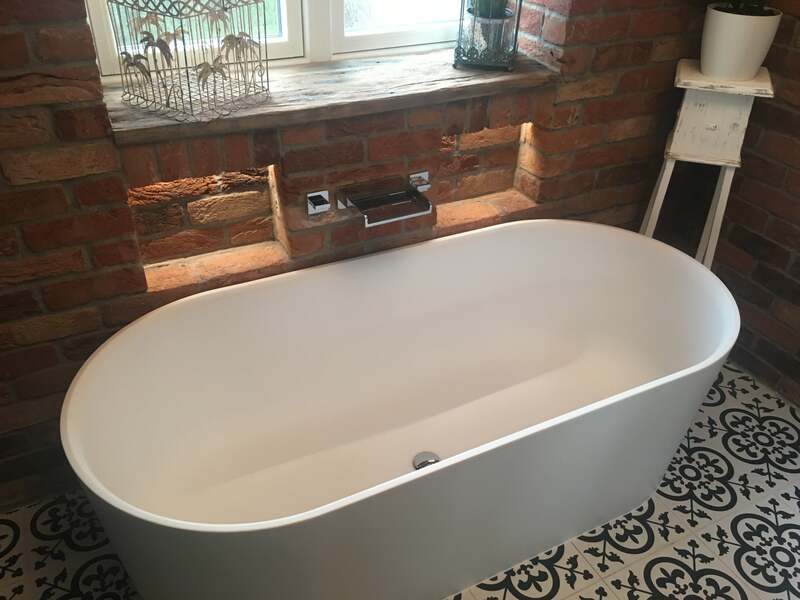 Brick wall bathroom with geometric floor. 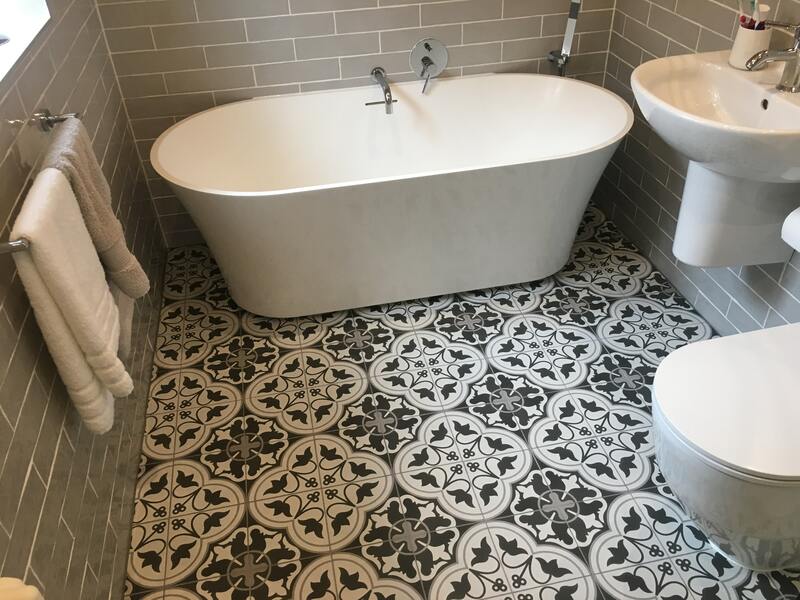 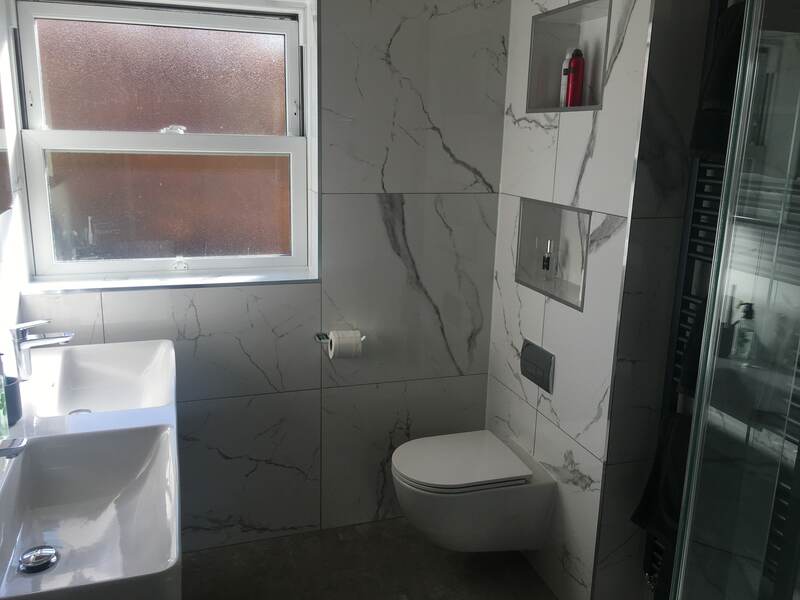 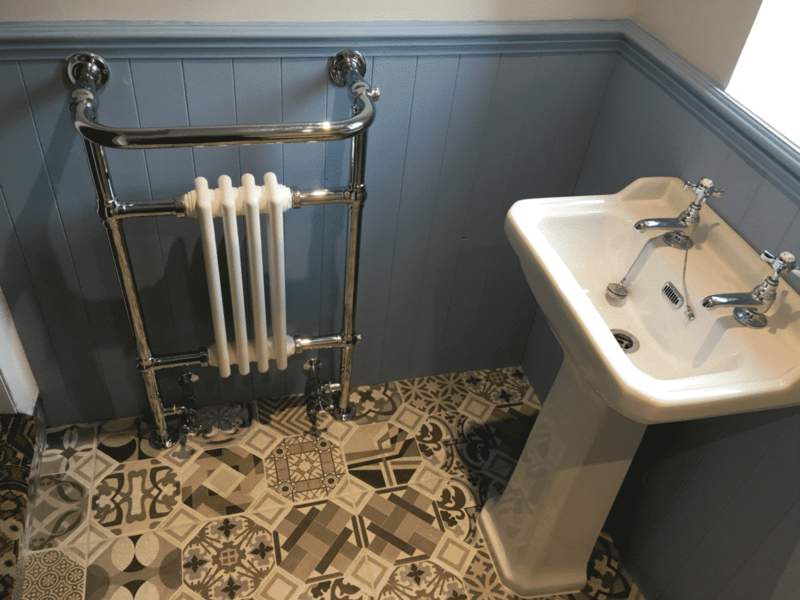 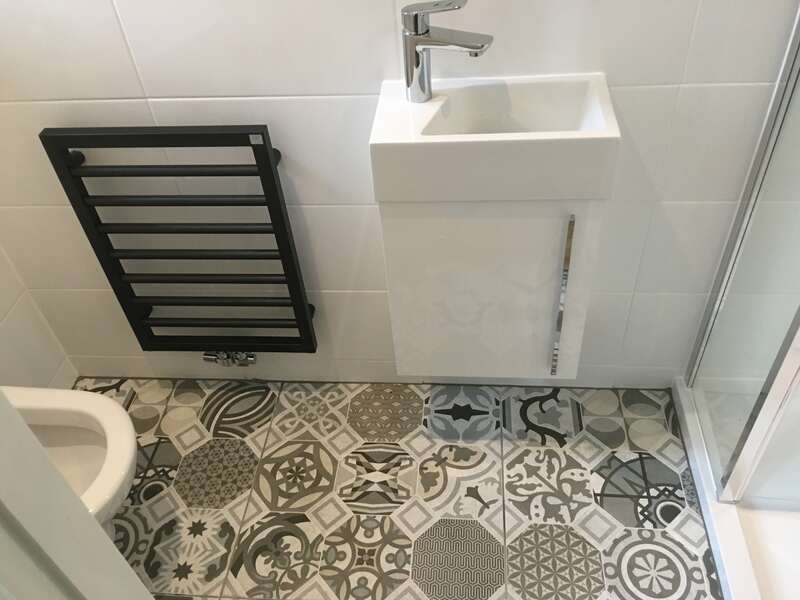 Geometric floor bathroom with grey brick tiles.